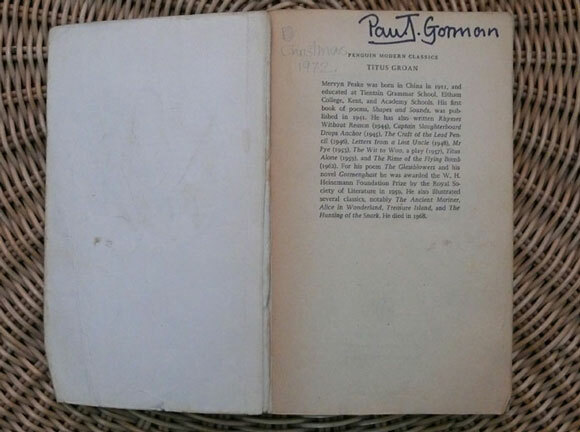 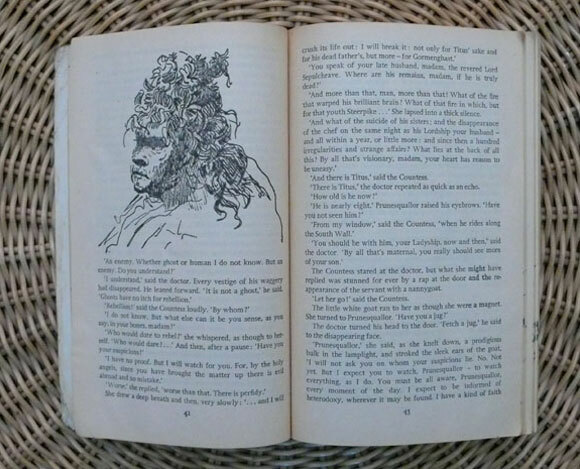 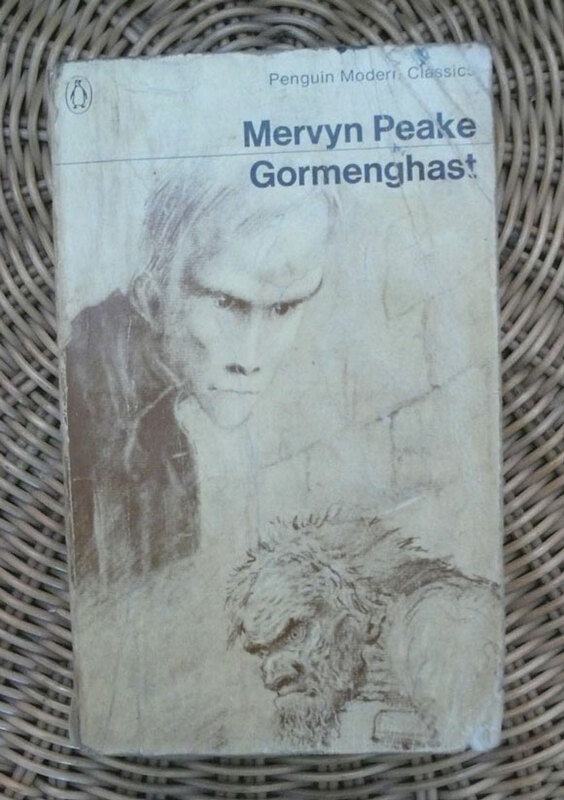 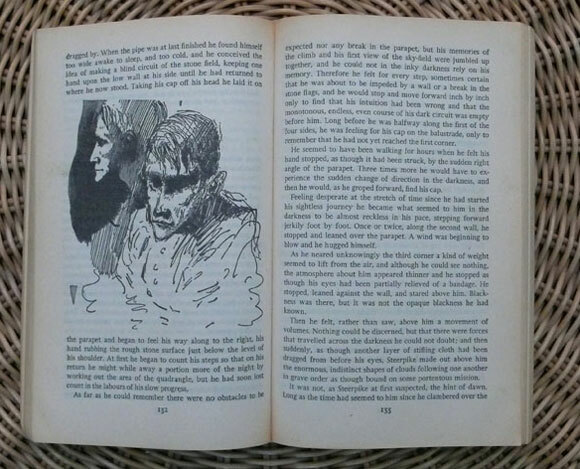 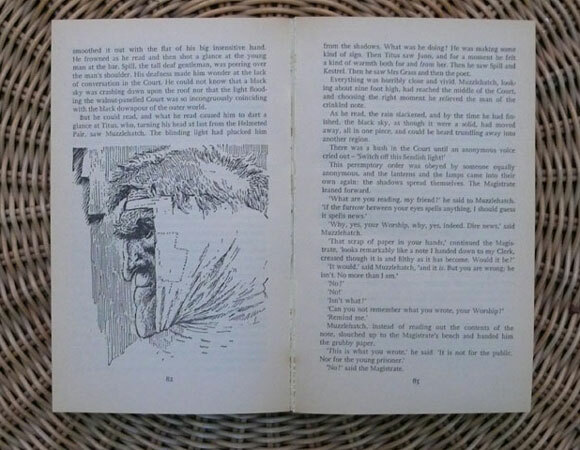 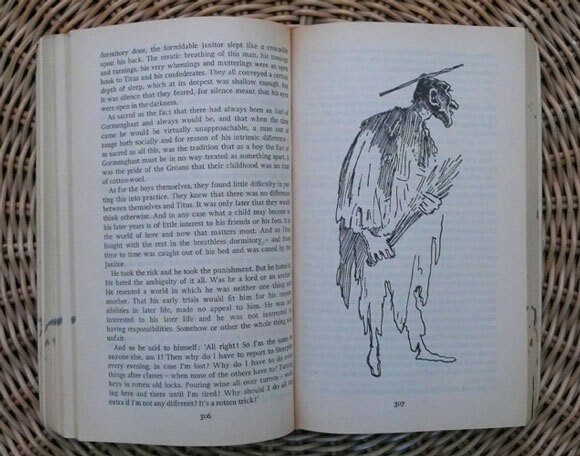 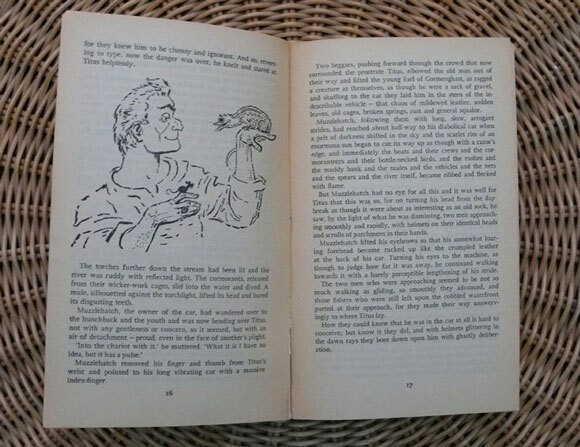 A recent conversation with artist John Frankland about the work of Mervyn Peake (9 July 1911 – 17 November 1968) has brought me back to one of my most treasured possessions: the 1970 Penguin edition of Peake’s masterpiece Gormenghast. 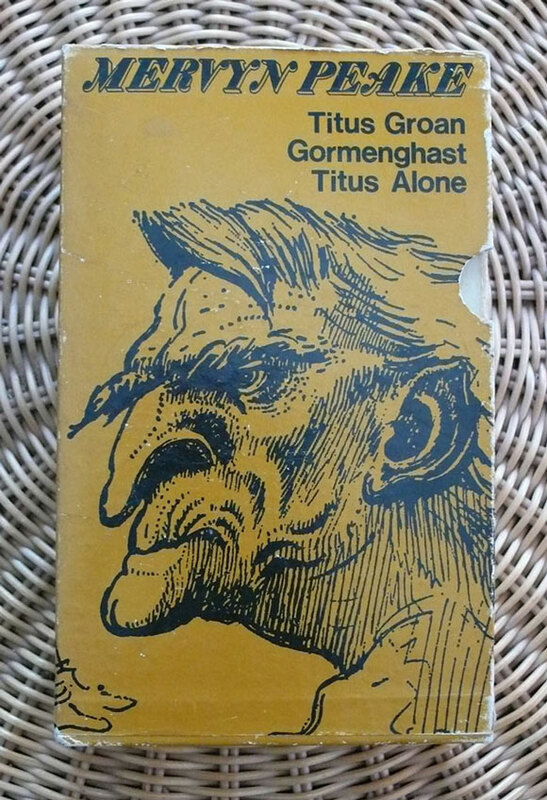 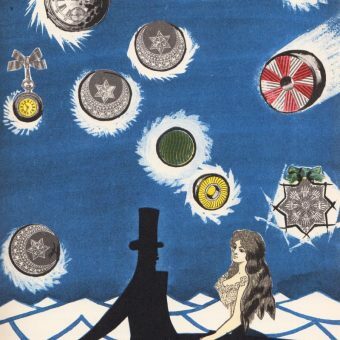 Designed by Robert Hollingsworth, the three illustrated paperbacks Titus Groan (first published in 1946) Gormenghast (1950) and Titus Alone (1959) were housed in a case decorated with Peake drawings. 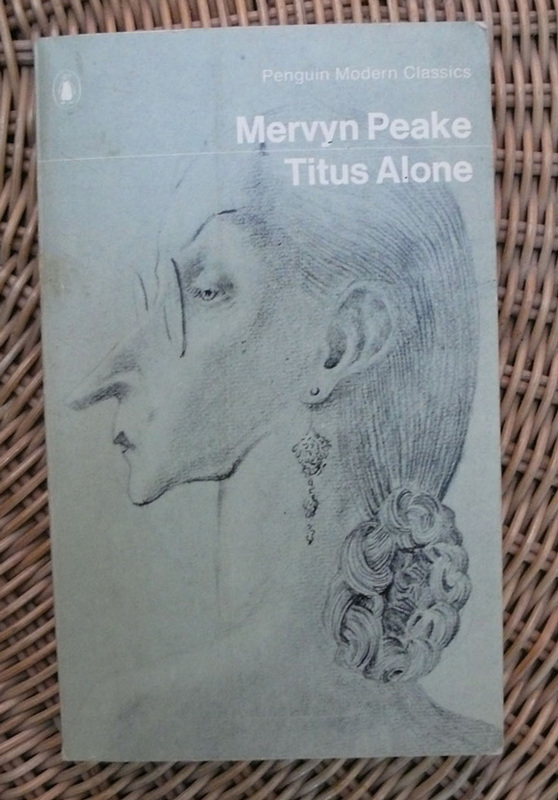 Titus Alone carried a note by Langdon Jones, who reconstructed the phantasmogoric third book in line with Peake’s wishes (the onset of early Alzheimer’s rendered the writer incapable of resisting changes made by publishers Eyre & Spottiswoode when it first came out). 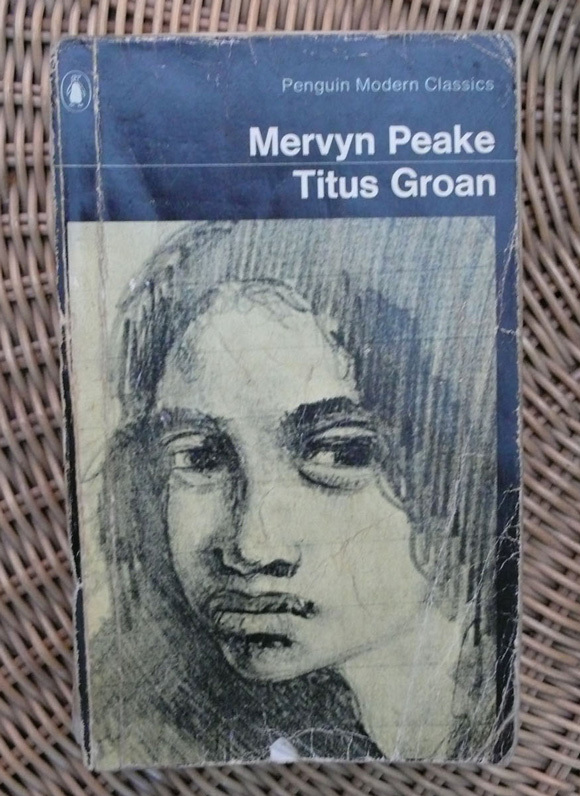 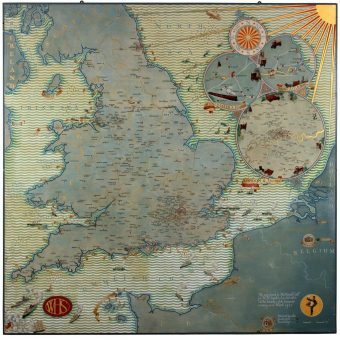 Jones wrote that the factory in Titus Alone is “a powerful expression of that evil which attained for Peake its supreme manifestations when, having been commissioned as a war artist, he entered Belsen at the end of the war”. 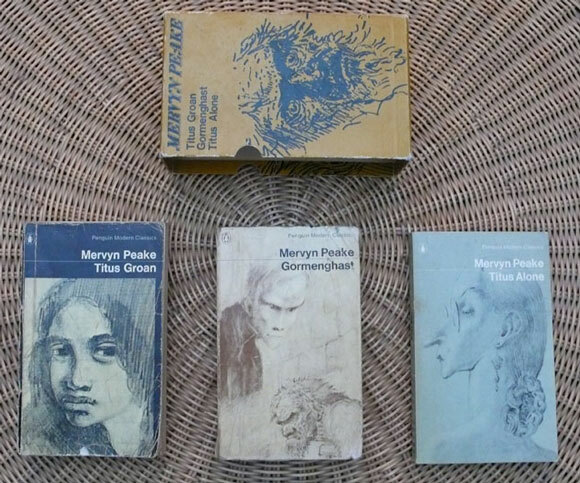 Last year John Coulthart dug out his Gormenghast box on news of plans to publish a fourth book, Titus Awakes, written by Peake’s widow Maeve Gilmore. 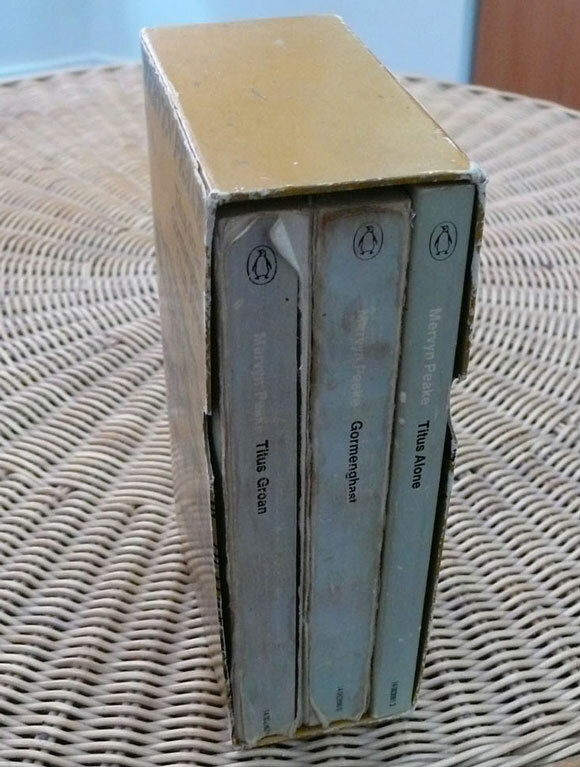 I am agnostic on this prospect since Burgess’ summary of Titus Groan – “there is no really close relative to it in all our prose literature. 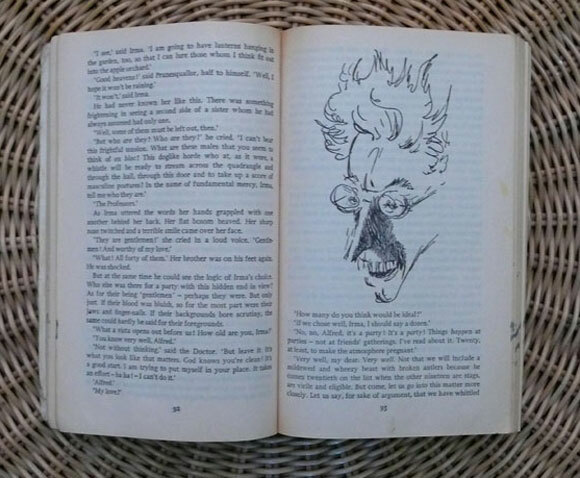 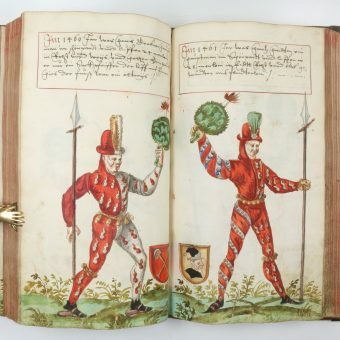 It is uniquely brilliant” – still holds for the trilogy, from which I am currently deriving as much pleasure as I did as a 12-year-old, enchanted by the drawings and enthralled by the exquisite detail and luxuriant characterisation.